Of a Hedgehog with fine character and distinction and merit. In December through February before coming of snow. Below waters submereged, South England slept till it ceased. The good people of this land united despite political blundering. To help with housing and drying, heating and eating prepare. But not much thought in this time for our wildlife or its feeding. Swept across counties and fields, beyond life sadly transcend. Indiscriminate death struck beak-claw-wing, web and anttenaey. The preeceding rains saturated everyones mile. Torrents of heavy waters did relentless downpour. Its like was unseen despite the hydrologists prediction. No shape of its own nor a pause to its auction. Outbid itself onward in joyless wetdrenched pandemonium. For mankinds environmental havoc unplanned. Greedily the flood waters raced all around. Of cataclysmic upheaval in Gulf Stream - like a banshee. Falling, swoosh-galling in their appalling abjury. To the welkin above, his will to survive overcoming despair. He cried out as he swam, rushed and burrowed to new quarters. He swept swiftly down rivers that on his life did intend. He hooted and honked - across Fell lands he swarmed. For dry land Hedgehog paddled, with his propellers. Hedgehog found a hillside to hang on to, his energy spent. Of splashing relentless - at long last an abatement. Fellow voyagers across land found themselves translocated. Every creature now surviving went out to roam. And found a wooden shelter in our garden, west by north. Resplendant and bright in the returned new blue-sky. The Hedgehog's name became Noah, for Natures atonement. Softly and gentle of the earth and the wonders unknown. Noah's the epitome of Cumbria - he's doing it right. This poem is to celebrate the arival of Noah the Hedgehog in our lives after he has survived the trauma of Storm Desmond December 5th 2015 in Cumbria. Hedgehogs are found in most parts of Britain, apart from very wet areas and extensive pine forests. They are also often scarce in upland areas such as moorlands and mountainsides. Hedgehogs are predominantly a woodland edge species and can thrive in the mosaic of hedges, fields and woodlands that charaterise the British countryside. As the name suggests they are often found near hedgerows, which provide ideal locations for nest sites, a good supply of invertebrates on which they feed, protection from predators and important movement corridors. The pastures used by farmers to raise cattle, sheep or horses are important foraging areas for hedgehogs. Hedgehogs have home ranges but are not territorial so will not fight to defend these areas. Radio-tracking studies have found that hedgehog home ranges vary during the year (and between sexes) but are on average around 10—20 hectares and they can roam an average distance of 2km on a single night. Male hedgehogs in the breeding season can cover up to 3km in one night in their search of females! To help urban hedgehogs gardens need to be linked up so they have a sufficient area to roam – find out how to link your garden. Hedgehogs are widely recognised as a potent ally in the garden, but what do they actually eat? Hedgehogs are generalists and feed on a wide range of things, but the majority of their diet is made up of invertebrates (or creepy crawlies). We know what they eat from scientific studies that have analysed hedgehog poo or looked in the stomachs of hedgehogs killed on roads. The most important invertebrates in their diet are worms, beetles, slugs, caterpillars, earwigs and millipedes. As well as these, they also eat a wide range of other insects, and more infrequently will take advantage of carrion, frogs, baby rodents, baby birds, birds' eggs and fallen fruit. When you are putting out food for hedgehogs, you can replicate the hedgehog's natural diet by using unsalted nuts, mealworms and meat-based dog and cat food. Hedgehogs are renowned for having fleas. However, the fleas found on hedgehogs are actually hedgehog fleas (scientific name: Archaeopsylla erinacei) which are host specific, meaning they will not survive for long on any other species, be it pets or people. Occasionally hedgehogs can become infested with fleas but usually they will only have a few resident fleas which will cause them no harm. Ticks are another common external parasite on hedgehogs. Usually an individual will have a couple of ticks on it though occasionally there are hedgehogs with heavier burdens. Ticks are commonly attached to the underside, behind the ears or the flanks of hedgehogs but they can occur elsewhere as well. Ticks are in general harmless to hedgehogs. However, a high parasite load can be indicative of sickness. 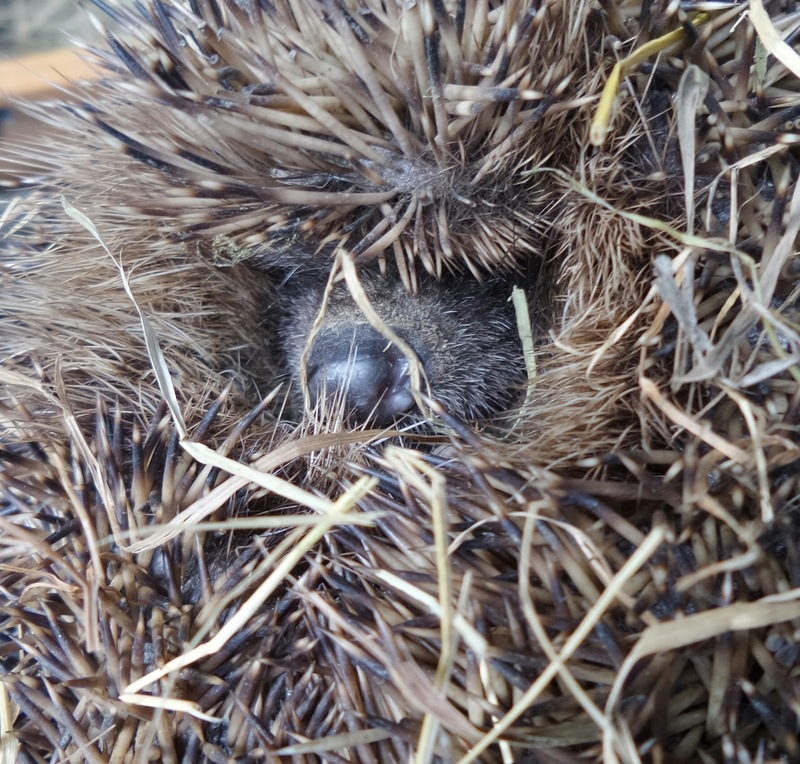 Ringworm can also be quite prevalent in hedgehogs, with around a quarter of the national population thought to be affected. 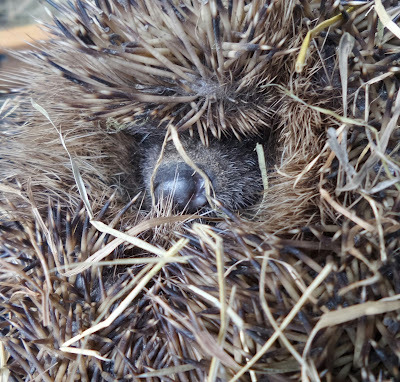 Most hedgehogs show no visible symptoms and even those with severe infections can still show little sign of skin infection and can feed normally. Dry, crusty ears are one of the most common symptoms of a ringworm infection. Hedgehogs can be host to a number of different parasitic worms, with lungworm being especially prevalent in European hedgehogs. Lungworm infection can result in a dry rattling cough and can prove fatal if left untreated. A mild worm burden is to be expected in most hedgehogs but this should cause few problems to them. This issue is not a straightforward one as there could be many factors that are contributing to the decline of hedgehog populations. This is further complicated by populations declining in both urban and rural habitats where the pressures and changes in the environment are very different. PTES and BHPS are currently commissioning various research projects into the reasons for their decline and measures that could be taken to reverse the effects. So glad you liked the poem Ragnhildur. We love our Hedgehogs in the UK and they are now becoming a threatened species so we do what we can to help people protect them. I love your poem, and the hedgehog they are so adorable and sweet!! I am sorry they are declining i tried to sign the petition but it is for residents only...but i they do need to be protected. So sweet.